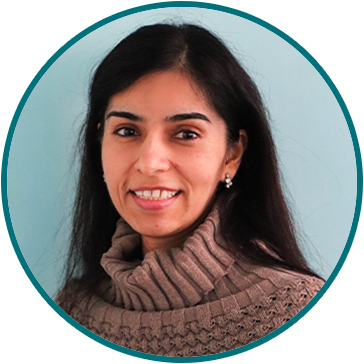 Reena has been on the ECP team since 2009. She is a graduate of the University of Melbourne with a Bachelor of Creative Arts in Creative Writing. She is an active member of the Hong Kong Writers Circle and has published many short stories in their annual anthologies. She's also the winner of the 2018 Peel Street Poets Poetry Slam contest. Reena has self-published her own children’s book, Surprising Mrs. Rhubarbson and its accompanying activity book. She hopes to pass her love for writing to her students. As a teacher, Reena aims to share the importance of unconventional thinking and encourage her students to broaden their horizons as both readers and writers. It's been almost ten years and no two days at ECP have ever been the same. There's always something new to look forward to and always an opportunity to contribute. I love the enriching moments with the entire community - the team, the students, the schools and the parents - that carry us through crunch time and make it fun! There is always so much to learn here. I think my favourite part is that ECP has taught me how to teach children what I love to do—write. It has also inspired me as a writer and given me a responsibility to practise what I teach. I would like to enter Vivian French's Five Kingdoms. Who wouldn't want access to a Trueheart, the Ancient Crones that are constantly weaving the Web of Power, some talking bats and the royal families? And that's only one side of the border! Lurking on the other side are werewolves, zombies, trolls and more! There's even a moody path that goes wherever it pleases, along with a house that shuffles all its rooms around! It's like the light-hearted version of the Harry Potter world!